January | 2009 | Wong Family Inc.
Once again, the Family went to Fo Guang Shan temple for CNY. But instead of going at night to look at the lights like previous years, we went in the day. Everything looked a little different. 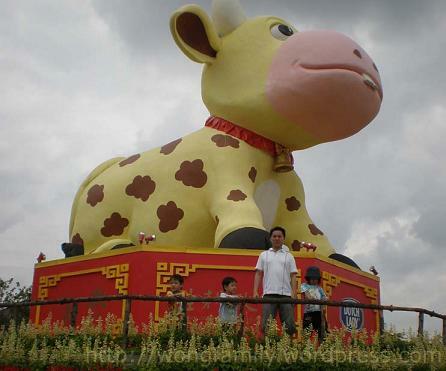 There was a giant ‘Moo Moo’ on display. This being the year of the Cow. 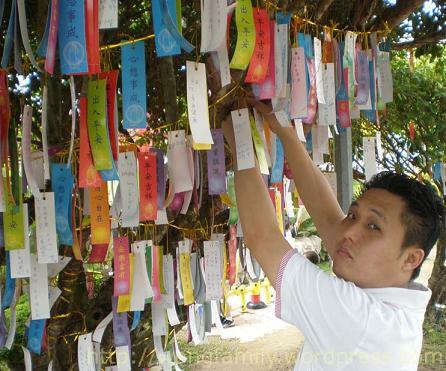 The family also hung a good wishes card on a ‘sacred tree’ for good fortune this year. Walked through the gardens, shrines and exhibition halls. More or less the same as before. Bought some packet drinks for the Kids and vegetarian Bak Kut Teh to go. Tried the latter back at home – the usual pork variety is still superior. 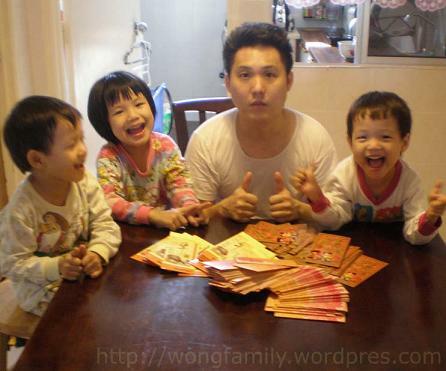 This entry was posted in Family Time on January 31, 2009 by wc9. So Aba was singing the typical CNY song ‘Gong Xi, Gong Xi, Gong Xi Ni…’ (Congratulations to you). Once again, the Kids were roped in to help out with preparing the Ang Pao packs for CNY. 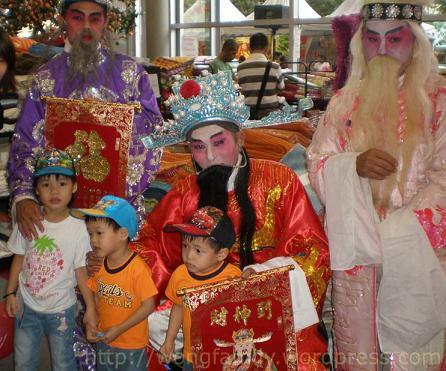 ‘Choi sen ye’ (God of Fortune) has the same status as Santa Claus for the Kids during CNY. They only know that they are guys with beards and red costumes who give out candy! This entry was posted in Family Time on January 23, 2009 by wc9.